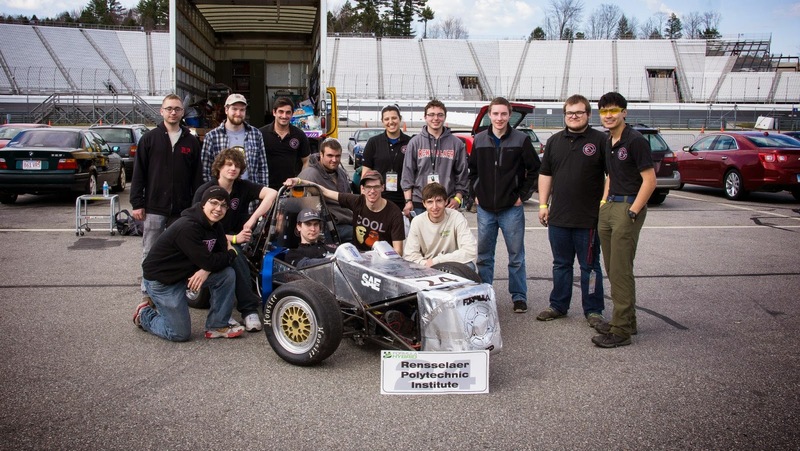 This year at the 2014 Formula Hybrid Competition RPI’s team placed 6th overall among other colleges. 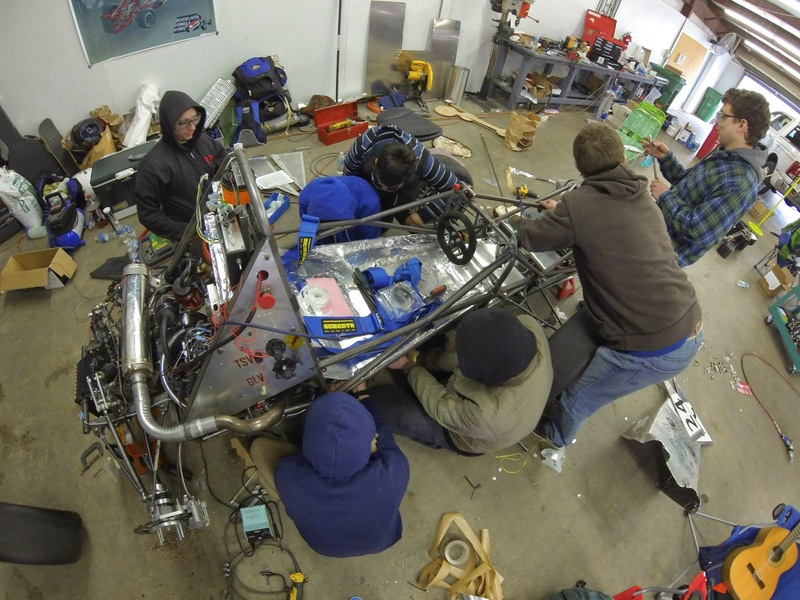 The competition requires teams to design and build an open wheel racecar with a hybrid internal combustion and electric drivetrain, while following strict safety criteria. The team worked year round to get to competition, and despite an entirely new leadership comprised of mostly sophomores, a relatively young and small team, and a complete redesign of the car, managed to build and design the DCMS (The name of this year’s car). 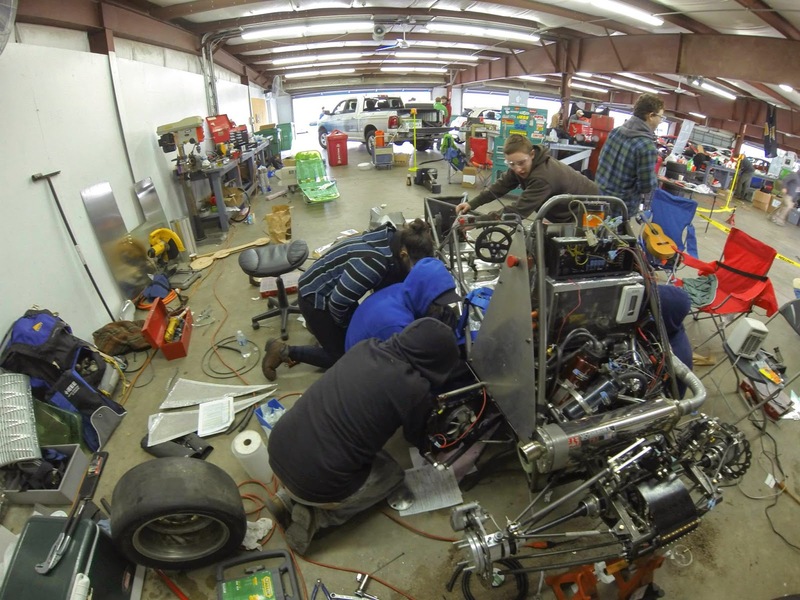 The team is entirely student run, from getting sponsors to support the project to the engineering behind the car. 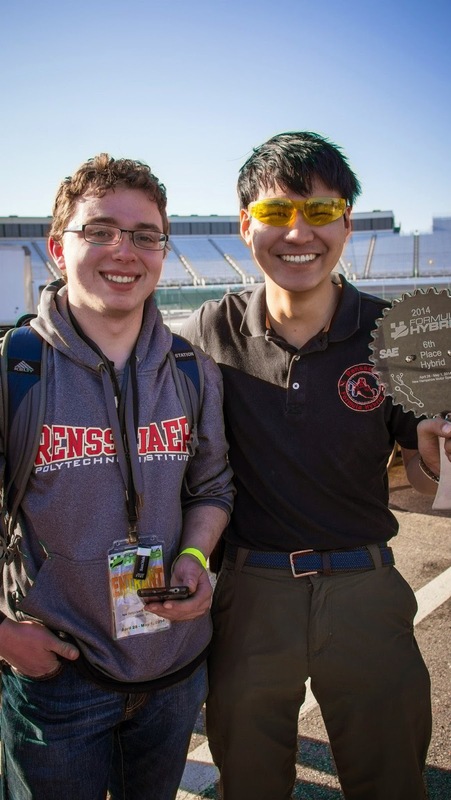 “I also wanted to be on a team project where I could learn more about interdisciplinary design, because if you want to do anything really amazing you can do it alone, but it’s going to be so much better with a friend” (Jordan Yamada Electrical Engineering 2016). “Coming in as a freshman, I didn’t really know what to expect. 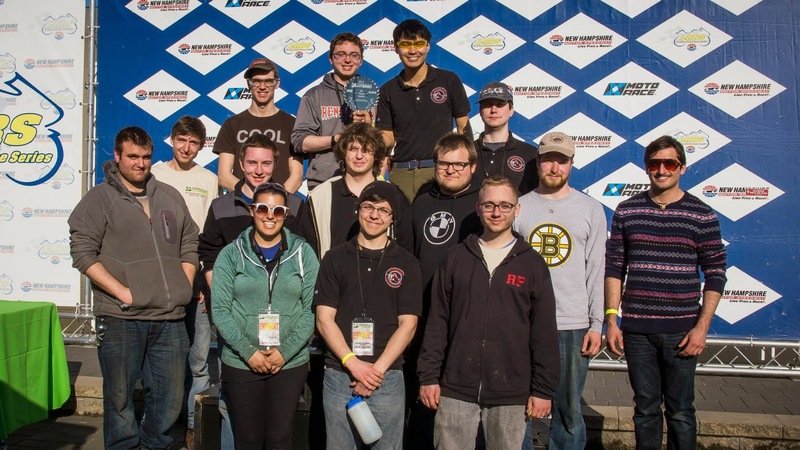 I found that the Formula Hybrid team is small enough that I can contribute and know everyone, while also applying my coursework to actual situations.” (Chris Lamplough Mechanical Engineering 2017). 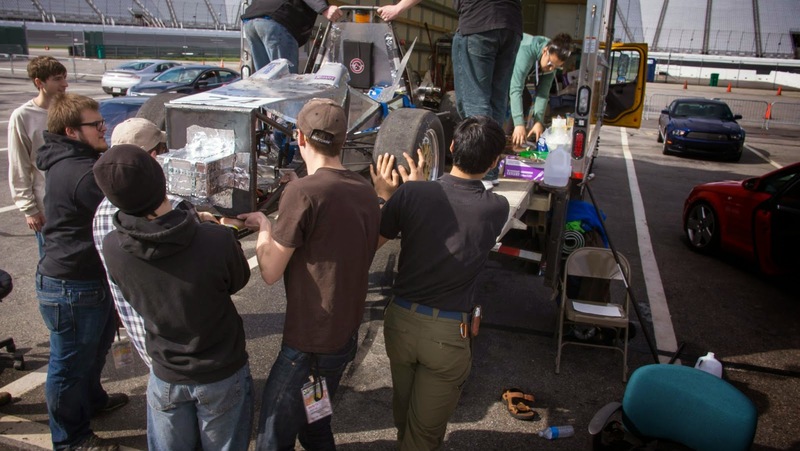 “I had tried formula SAE [another car team] previously, and I found that that crowd wasn’t quite right for me. Additionally, SAE’s system is already so well optimized that I knew I would probably not get that much flexibility in the one thing I love the most: engine building and tuning. 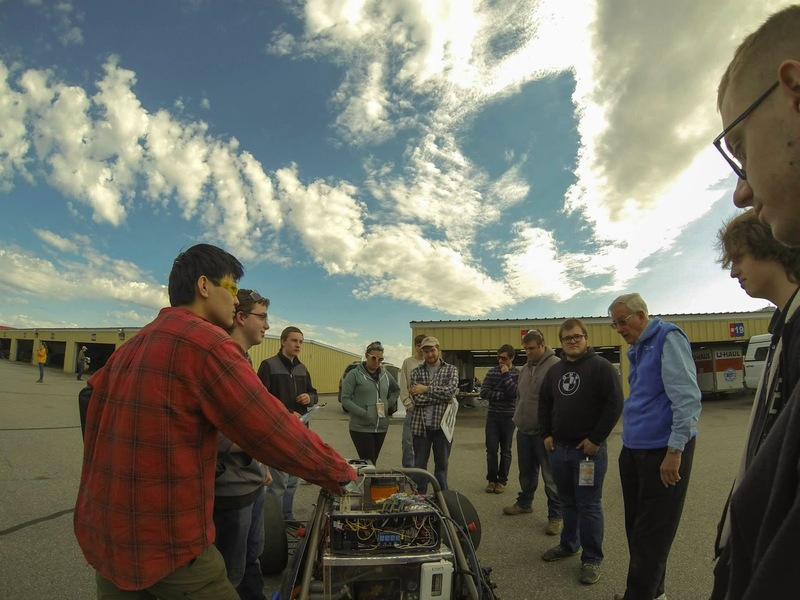 Formula hybrid has given me an opportunity like nothing else has given me and for that I am truly grateful” (Eric Briggs, Aero/Mech 2016). Lastly, the team the challenge of Formula Hybrid is enormous. The competition travels into territory that most engineering teams and cars have never gone before. Out of the many teams that compete, only a few cars actually ran during dynamic events. Placing in the competition shows tremendous progress for the team, and with hard work will do even better in the years to come.